UP NEXT, A FULL STOCK RESTO ON THIS '62 DELUXE. CLICK "HERE" TO FOLLOW ALONG. PUTTING A FULL RESTO ON THIS CLASSIC RAGTOP. CLICK "HERE" TO SEE MORE. UP NEXT, WE'LL BE SAVING OG PAINT YET AGAIN ON THIS 1967 PATINA 13 WINDOW. CLICK "HERE" FOR PROGRESS. Check out our NPR feature! 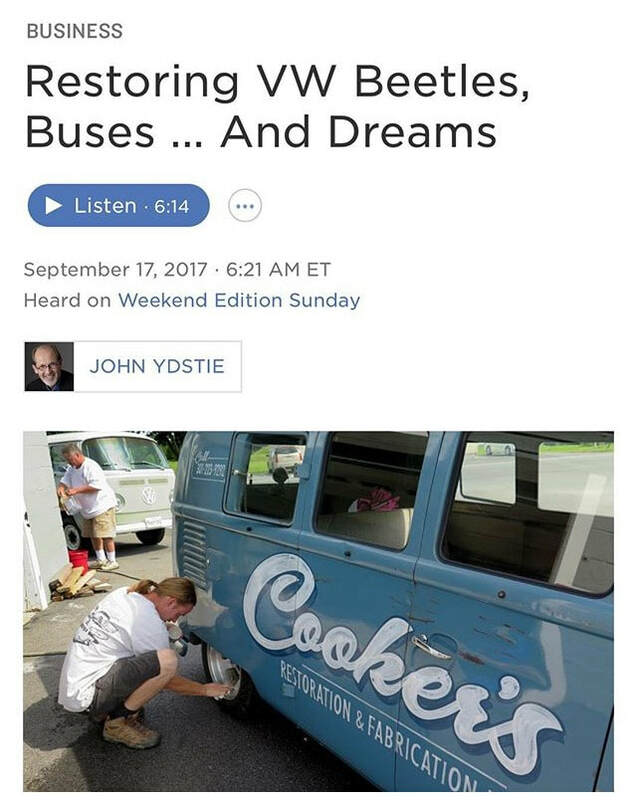 Click "HERE"
Cooker's driver Mean Gene Cook couldn't make it a "3-peat" in the Air Cooled Streetcar Association class at the 4th Annual Volkswagen Nationals at Mason Dixon Dragway, but did runner-up! Thanks to anyone that cheered us on! 04-10-19: Updated "Restorations in Progress" pages. 03-20-19: Updated "Restorations in Progress" pages. 03-07-19: Updated "Restorations in Progress" pages.